Raymond Rybar has been an Artist/Blacksmith for over thirty years and has won countless blade awards for his bold Damascus patterns and intricate Mosaics. His latest inspiration for his work comes from the Bible and is centered on biblical themes: The King of King Sword, The Crucifixion Sword and The Gospel of John Sword are just a few examples of this Mastersmith's work. 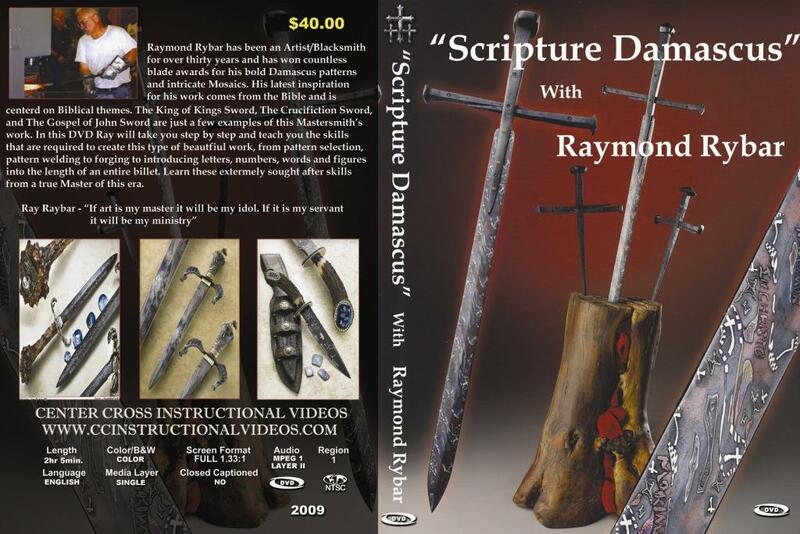 In this DVD Raymond will take you step by step and teach you the skills that are required to create this type of beautiful work, from patter selection, pattern welding to forging to introducing letters, numbers, word and figures into the length on an entire billet. Learn theses extremely sought after skills from a true Master of his era. Click here to see Ray's Knife Making class schedule at Pieh Tool.